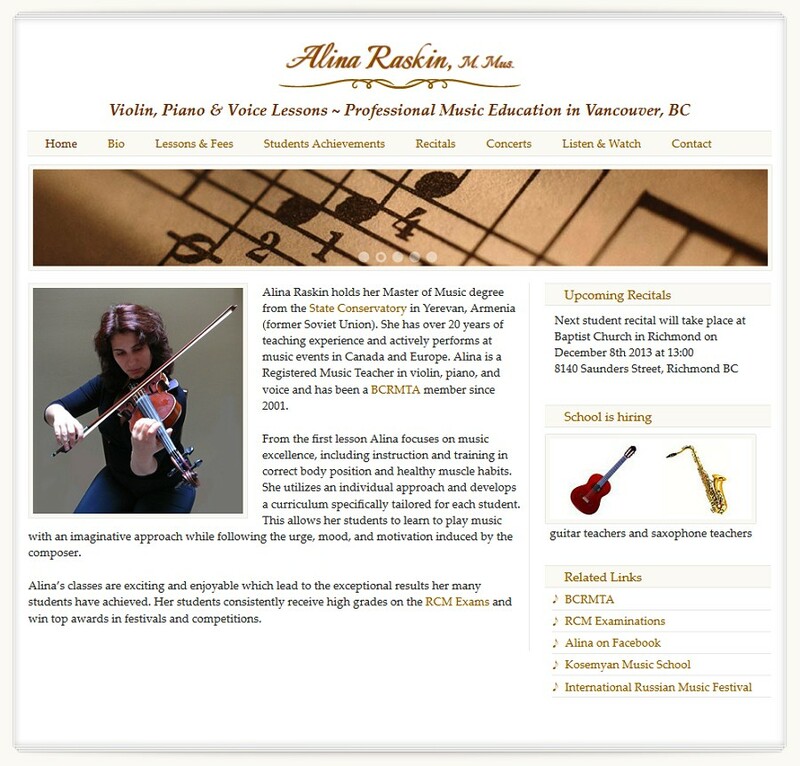 Alina Raskin, Master of Music, actively performs at music events in Canada and Europe. Alina is a registered music teacher of violin, voice, and piano. Check out her website for her private music classes in Vancouver.